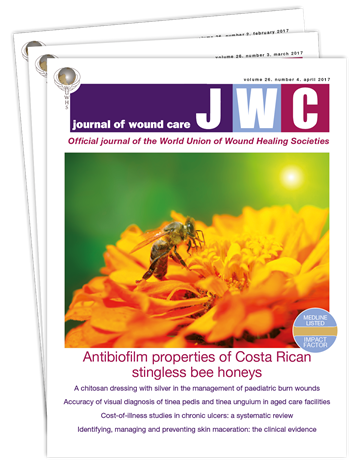 The new issue of Journal of Wound Care (JWC) is on sale now! As ever, it contains a wide range of up-to-date and peer-reviewed clinical information for tissue viability professionals. Focusing on practice, research, education and management, it is an indispensable resource for specialist wound care. You can view the full contents here. New subscribers can get their first 3 issues for just £3 - a saving of over 89% on our normal rate. Subscribe today to ensure you receive the current issue, and discover how we can help you in practice. *£3 for the first three issue of your subscription. Price reverts to £29.00 per quarter thereafter. You may cancel anytime.